Glenlaurel is 'The premier romantic getaway in the Midwest.' This secluded Hocking Hills inn with cottages, crofts, suites, and rooms has breathtaking views...all nestled on 140 pristine acres. 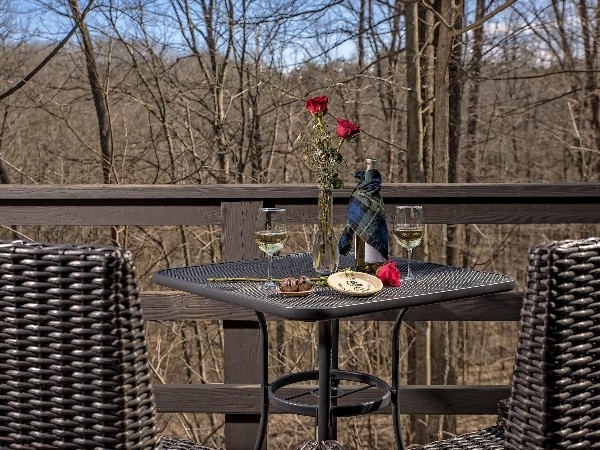 A private gorge with waterfalls and hiking trails is reserved for guests. 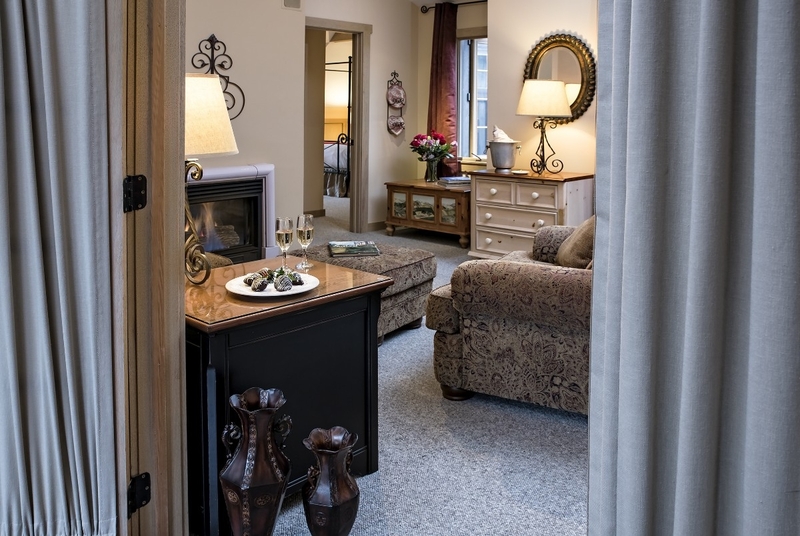 We offer six and seven-course fine dining nightly in our restaurant along with in-room spa services. 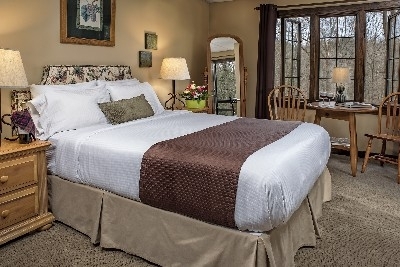 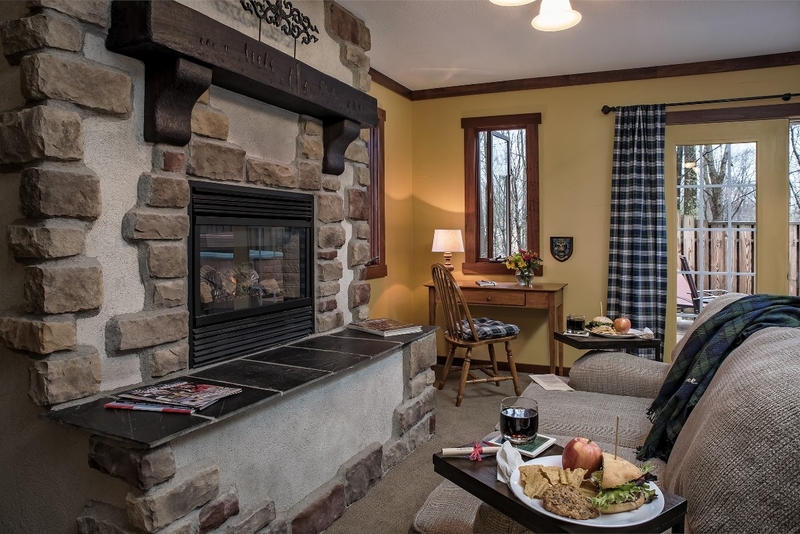 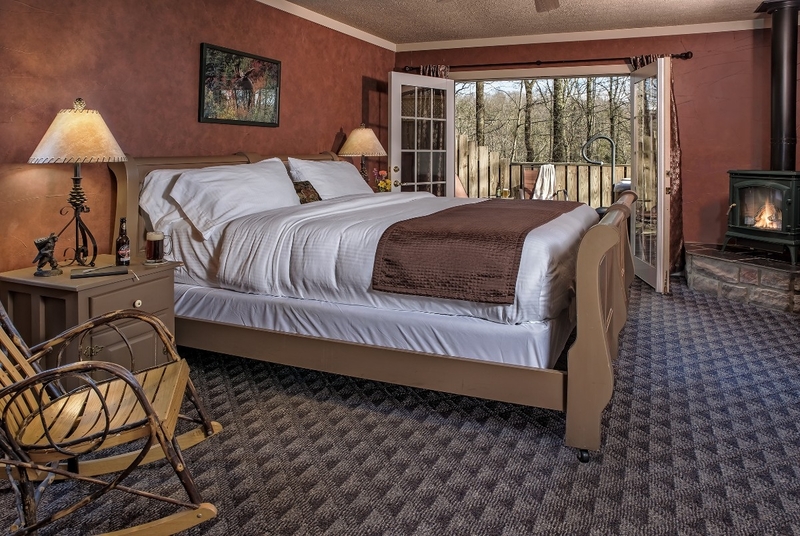 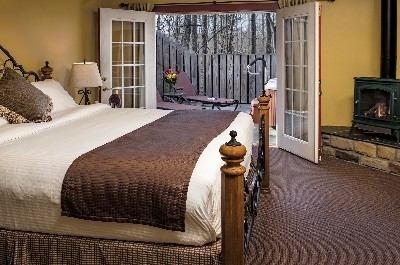 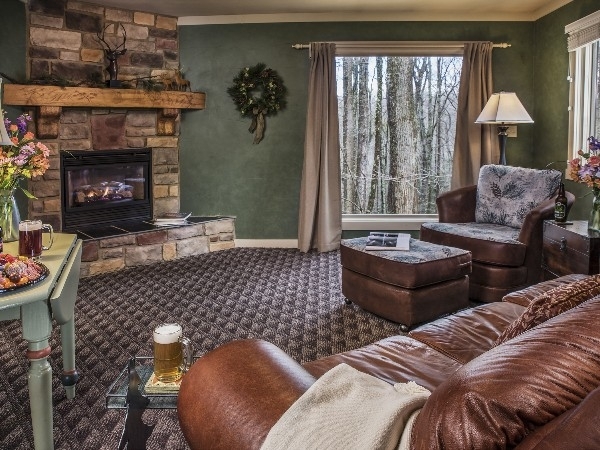 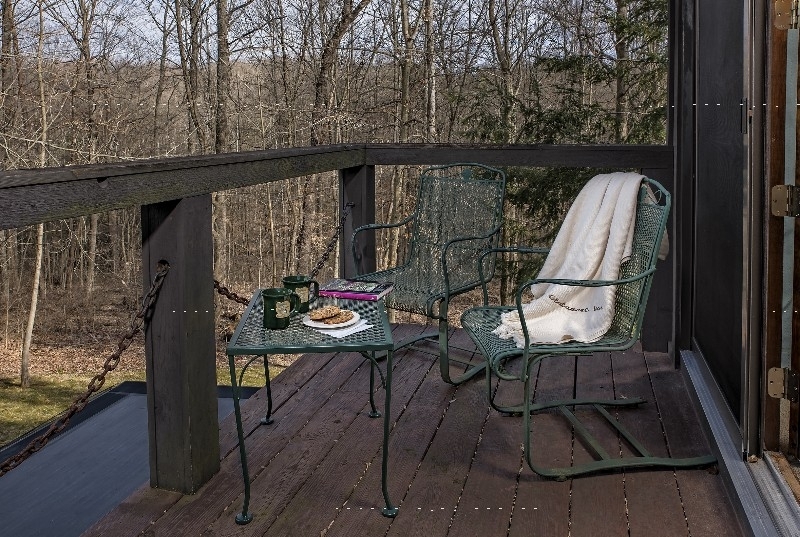 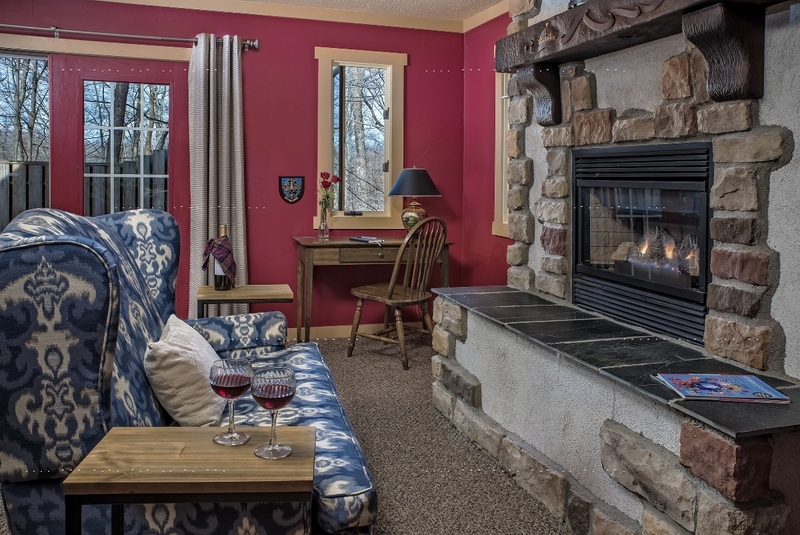 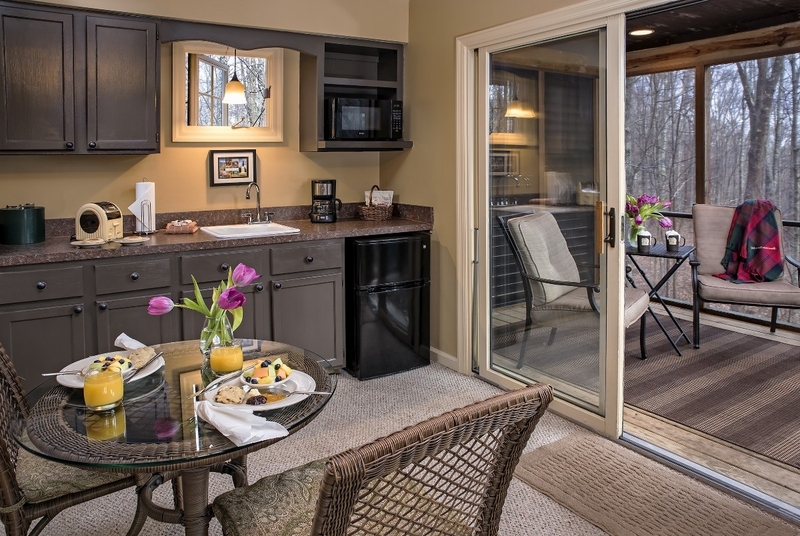 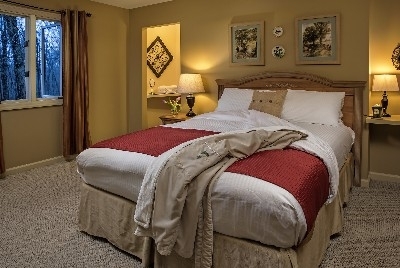 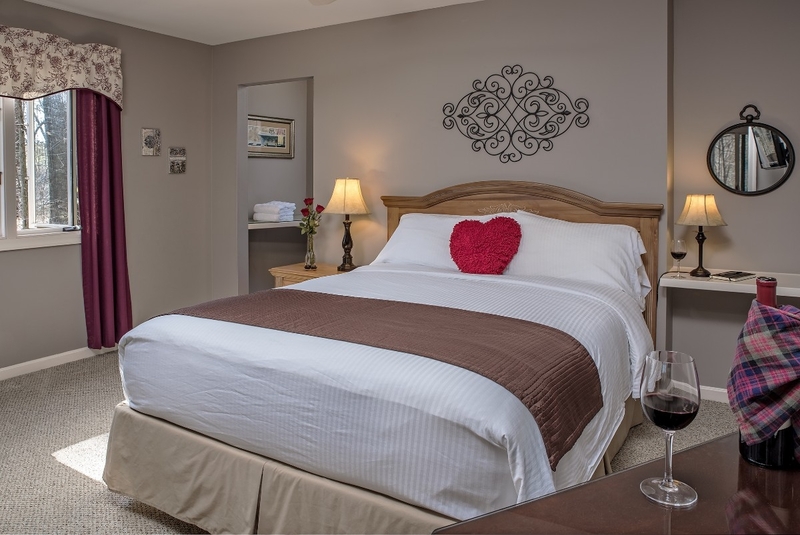 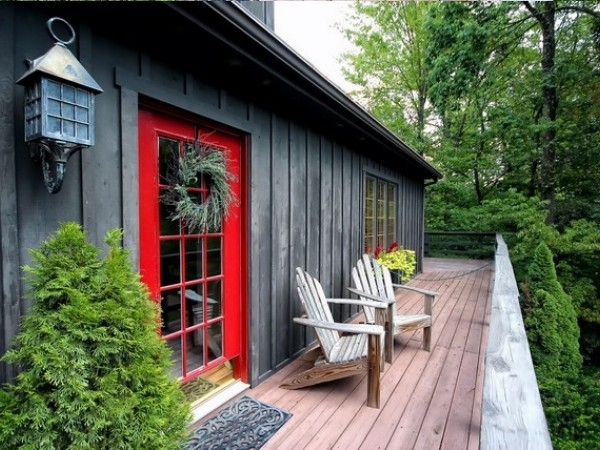 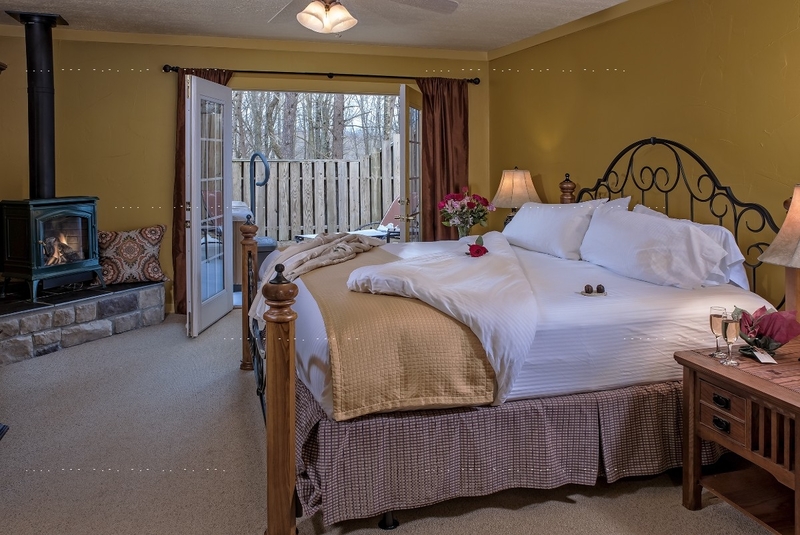 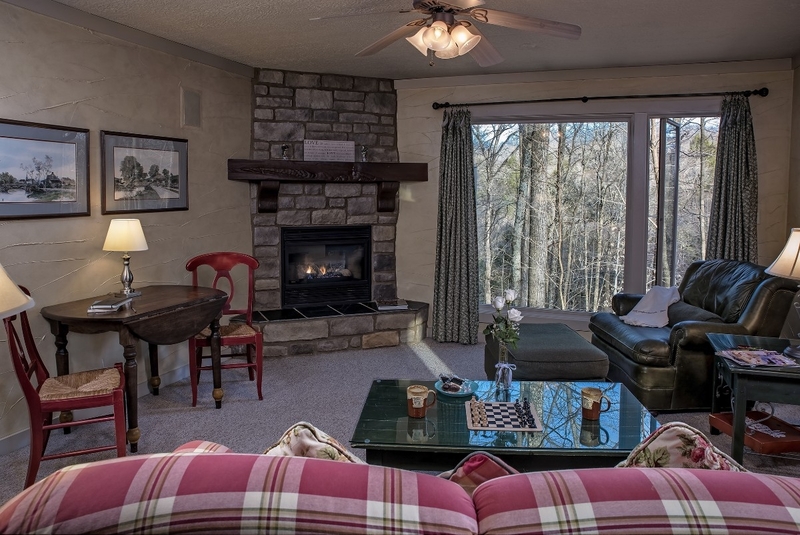 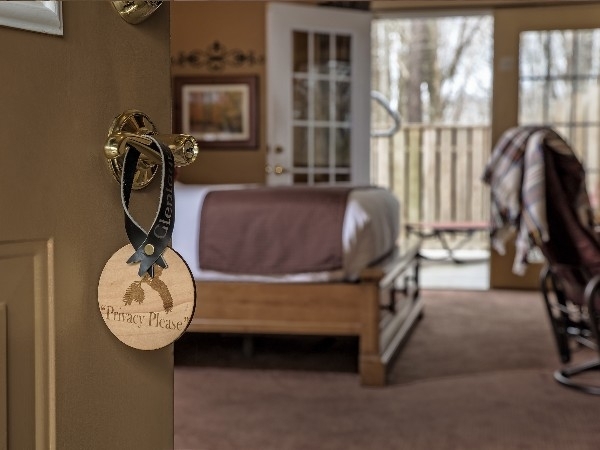 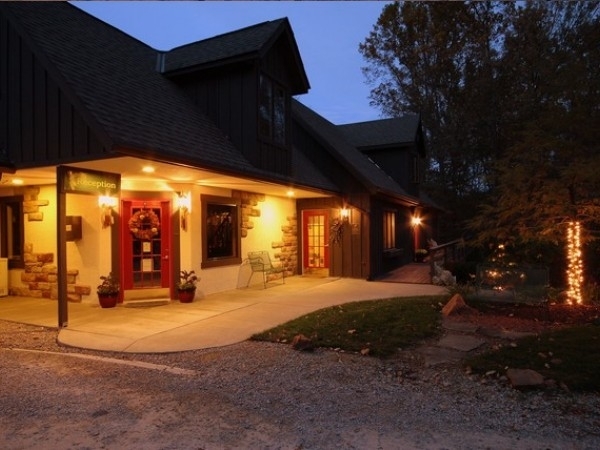 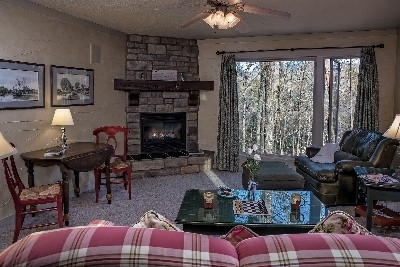 It's the ultimate in romantic getaway location in Hocking Hills. 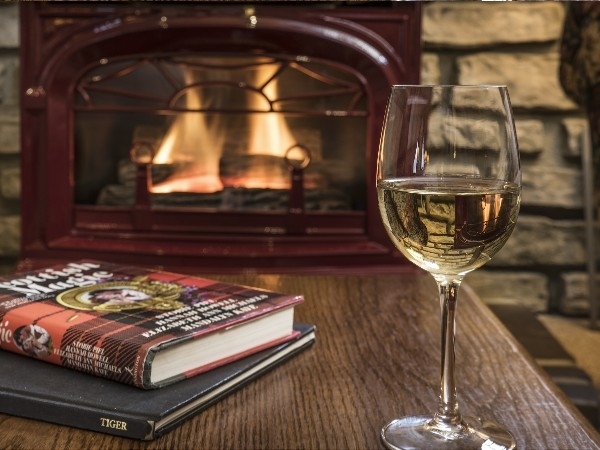 A Scottish links golf course and cozy pub adds to the ambiance. 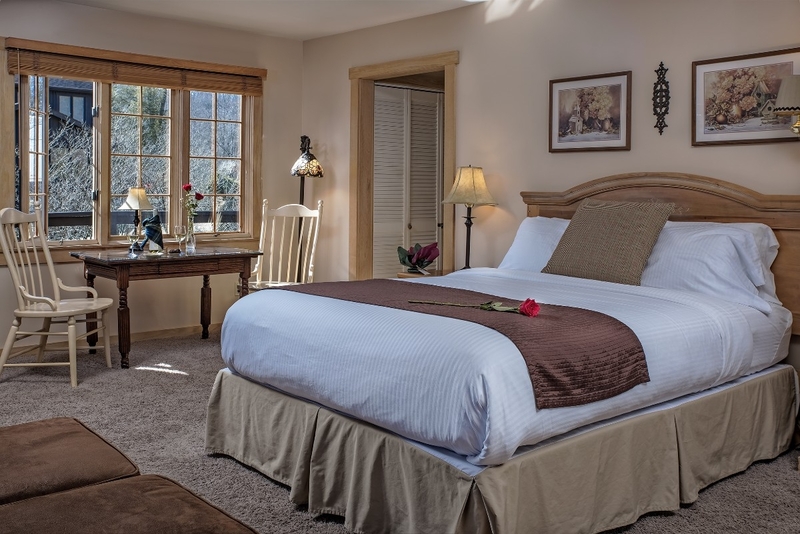 The adult-only inn is pet-free smoke-free...a perfect location for proposals, intimate weddings, anniversaries, and luxurious getaways. 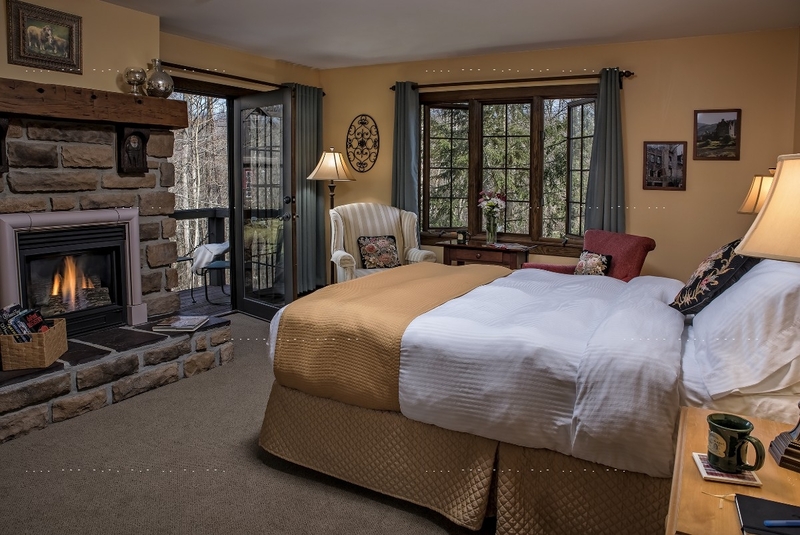 From the living room, venture into the bedroom, past the king sleigh bed, through the double French doors and onto the private deck. 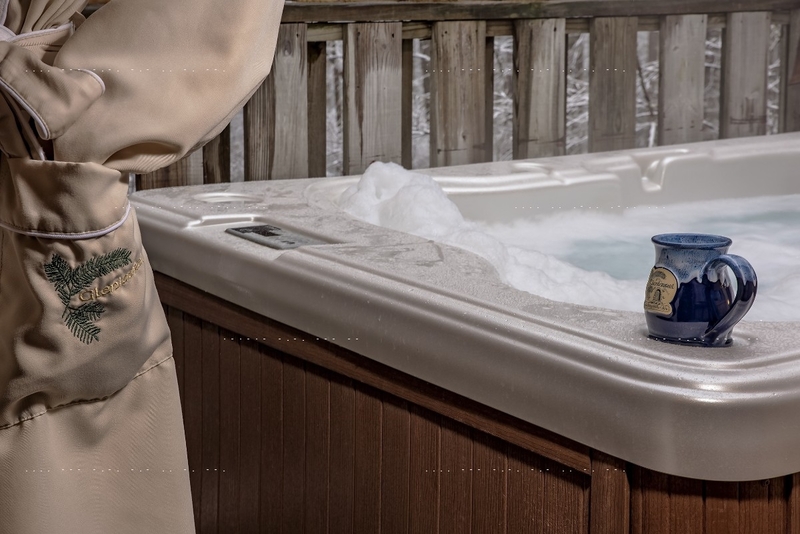 Your senses will delight in the warmth of an anticipated hot tub soak. 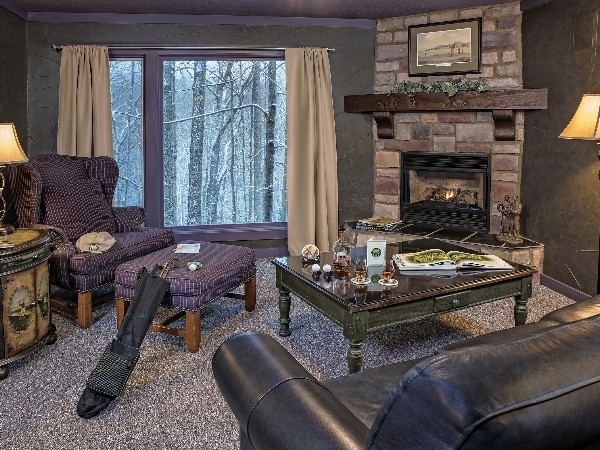 The large living room window to the woods is a seasonally changing mural of the many faces of nature. 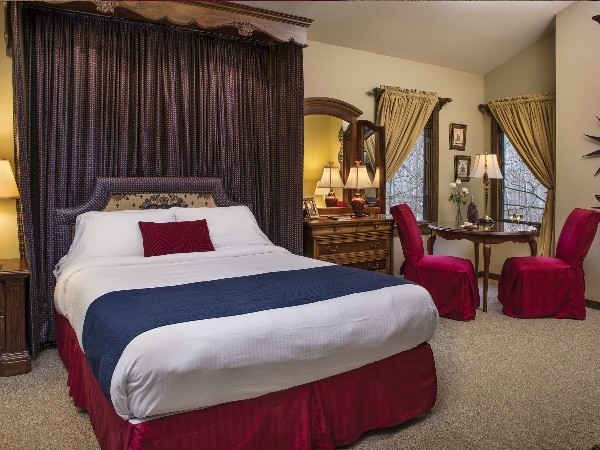 Pass into the bedroom and feast your eyes on the luxurious king sleigh bed, and the view of your private deck with hot tub. 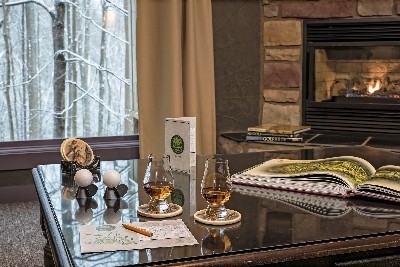 When the chieftain of Clan MacLeod retuned from the Middle East in the 12th century, he brought a piper to entertain his household at Dunvegan Castle. 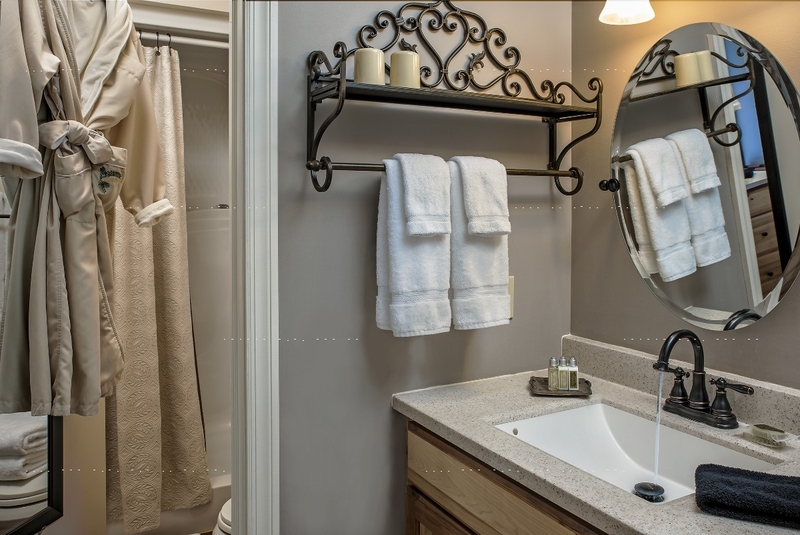 Icons of piping grace the luxurious amenities. 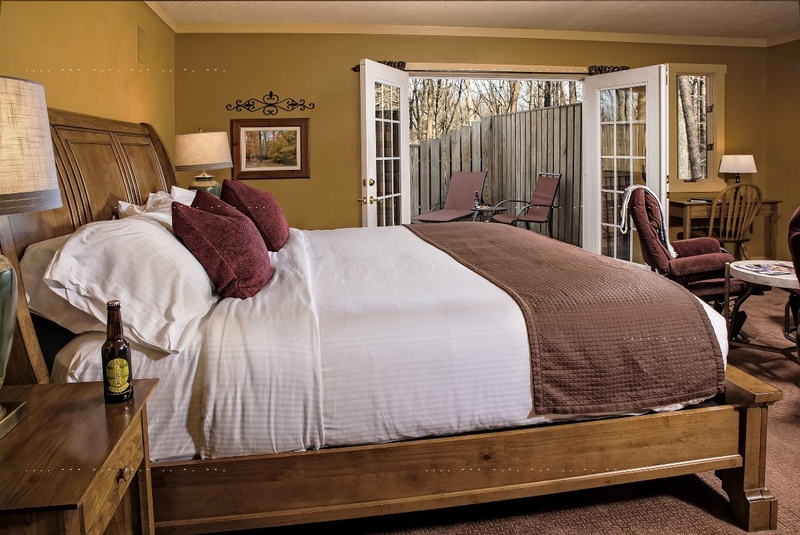 Enjoy the King sleigh bed private deck with hot tub. The soft golden glow of the walls and warm honey tones of the furniture combine to invite thoughts of romance. Pass through the living room to the king bedroom and onto the private deck with hot tub for fantastic views of the woods. 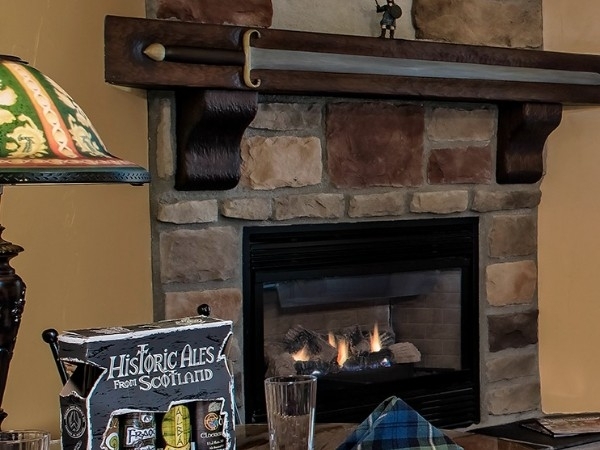 William Wallace of Braveheart fame represents the warriorhood that is woven throughout Scottish history. 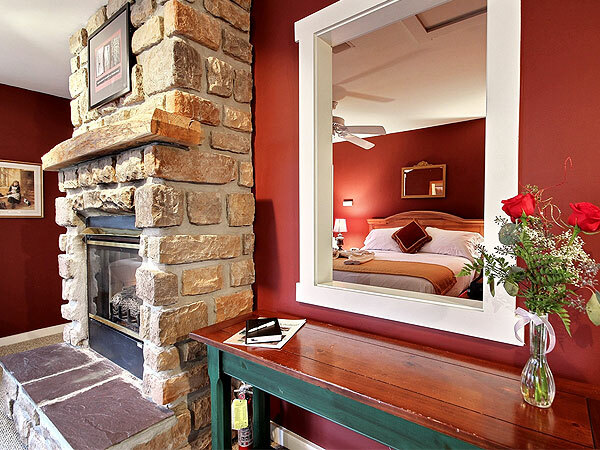 His five foot sword carved into the mantle sets the tone for the red and gold decor. 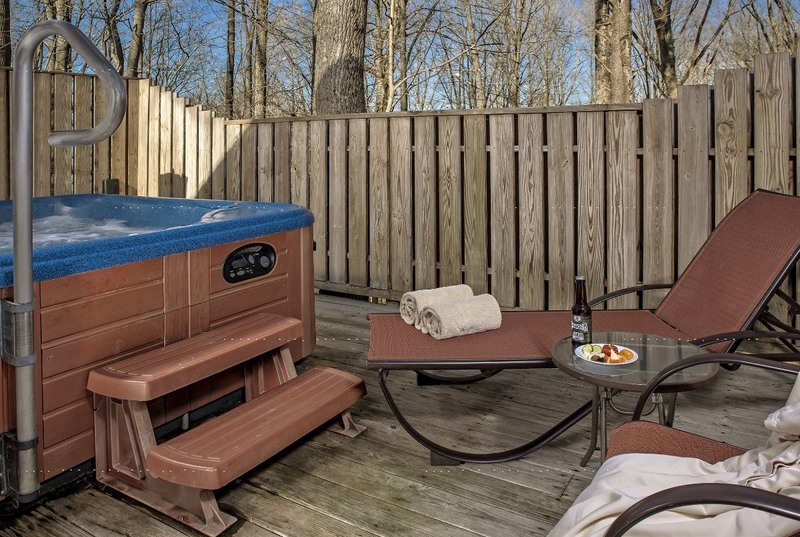 Enjoy your private deck with sparkling clean hot tub. The bold design of Charles Rennie MacIntosh helped usher in modern architecture. 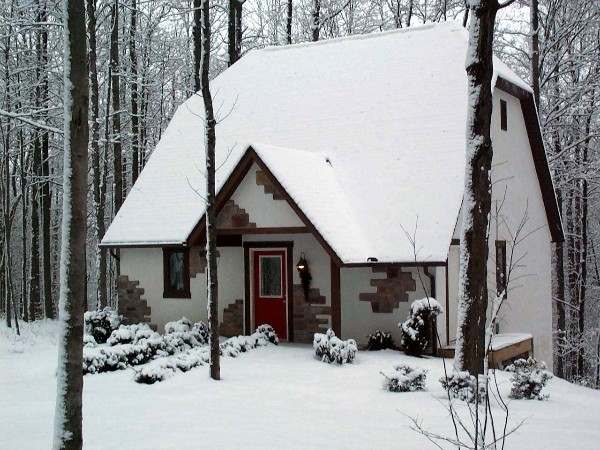 His wife Margaret MacDonald collaborated and encouraged his mystical watercolors as seen in this cottage. 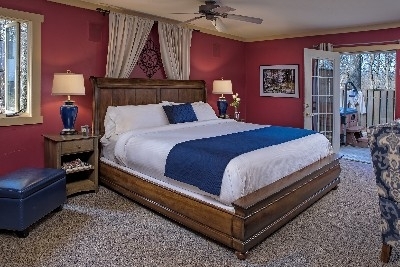 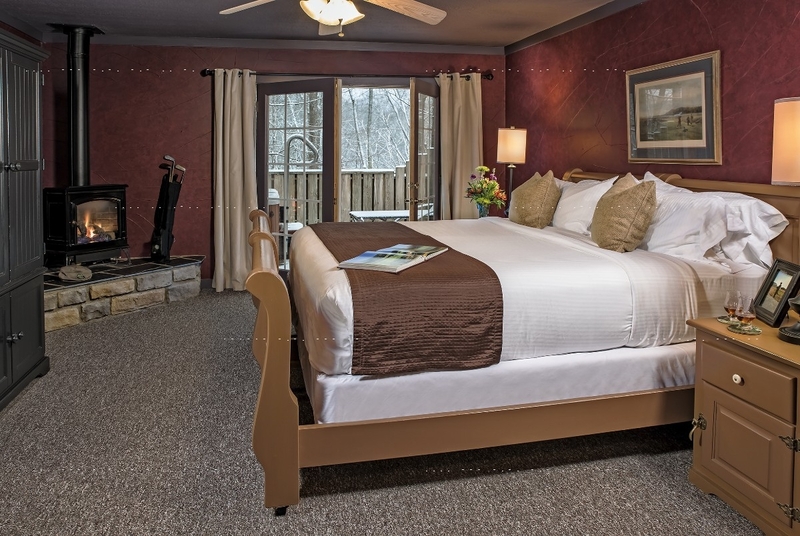 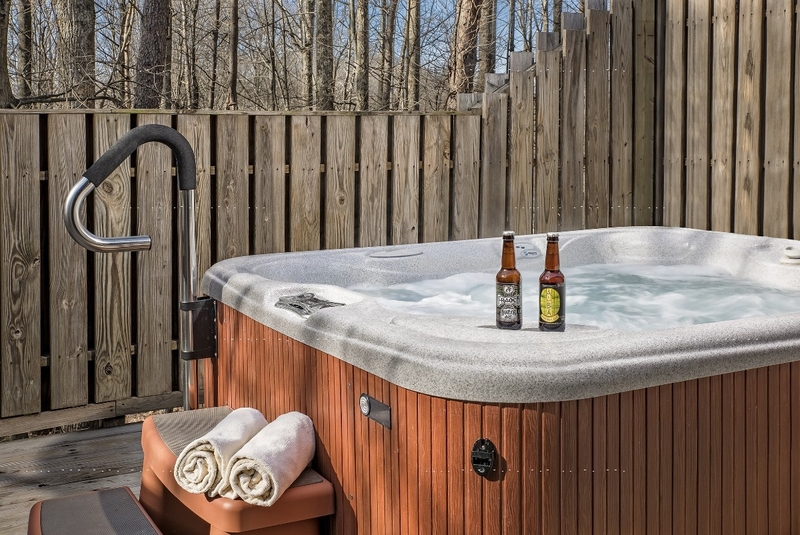 Enjoy a king sleigh bed and private deck with hot tub. 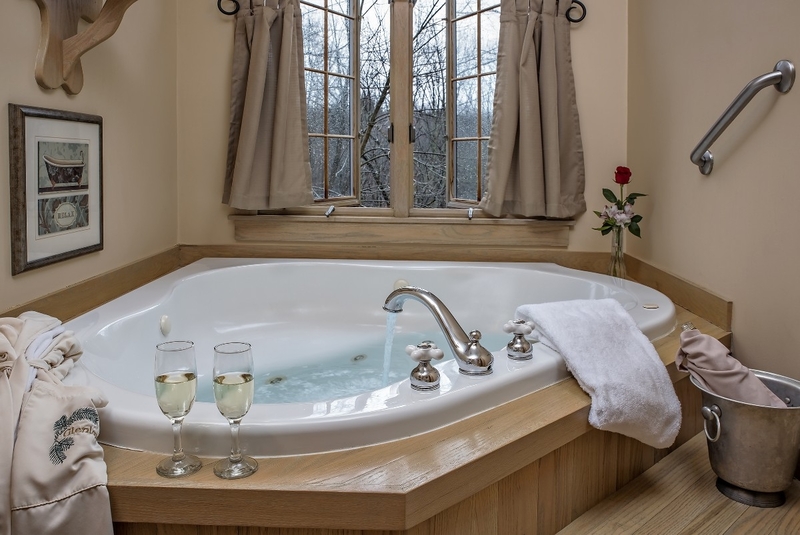 Named after the small farm houses which dot the moors and lochs of Scotland, the croft experience whispers intimacy and togetherness. 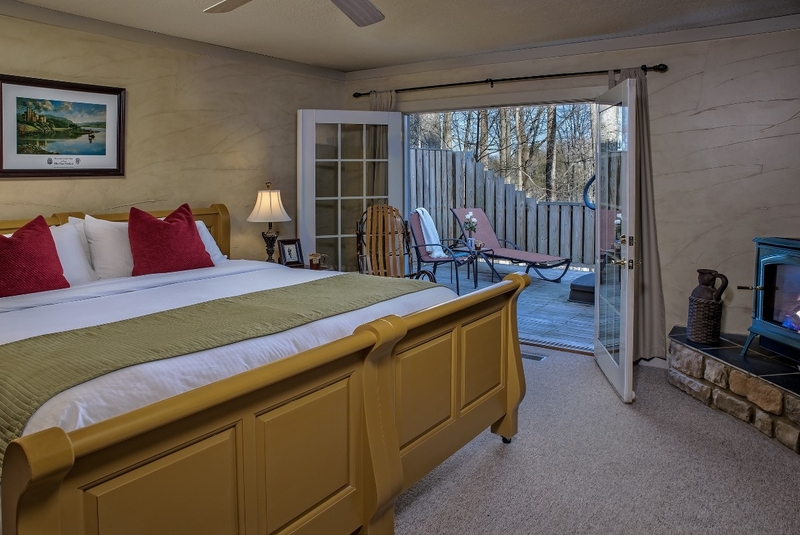 The king bed overlooks the fireplace entertainment center, and a hot tub awaits on the private deck. 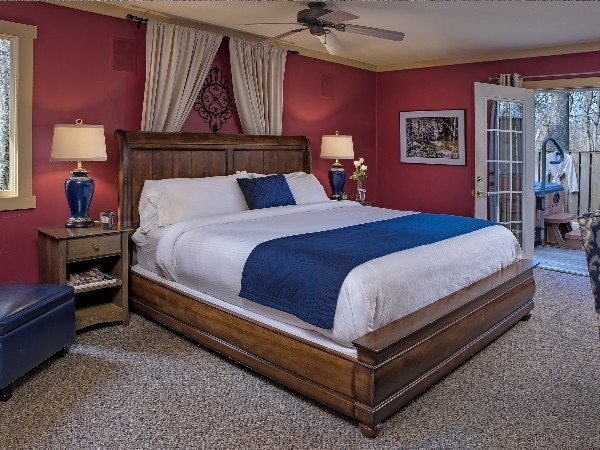 MacBeth is laced with shades of Scottish red and blue from the fireside loveseat to the king bed nearby. 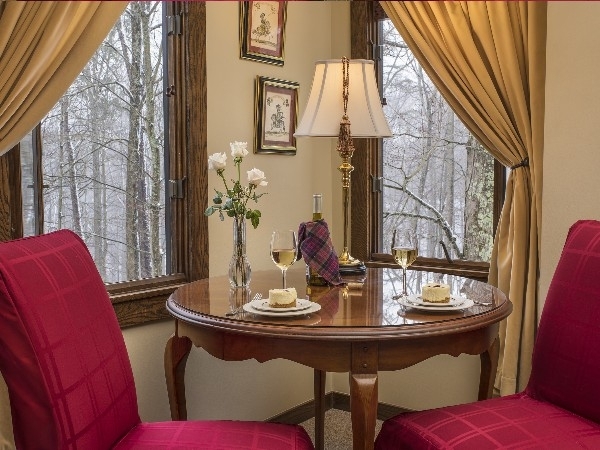 A corner window views the ravine far below. 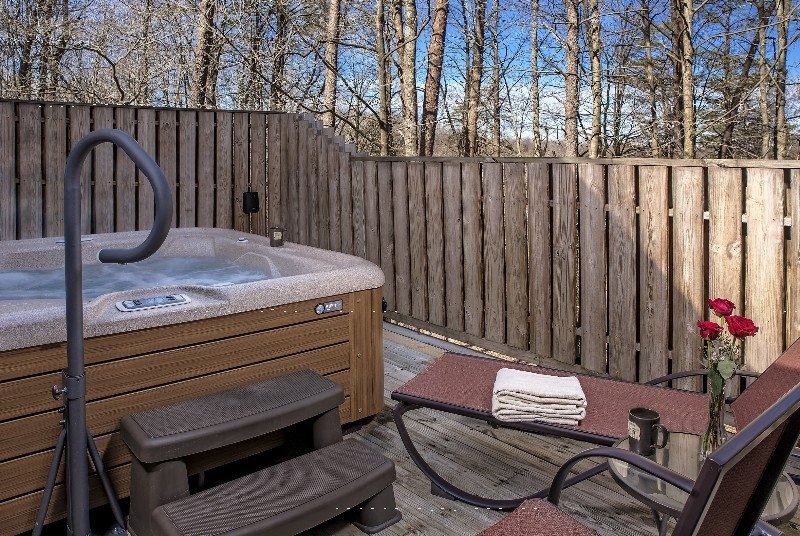 The private deck is home to a luxurious and large hot tub. 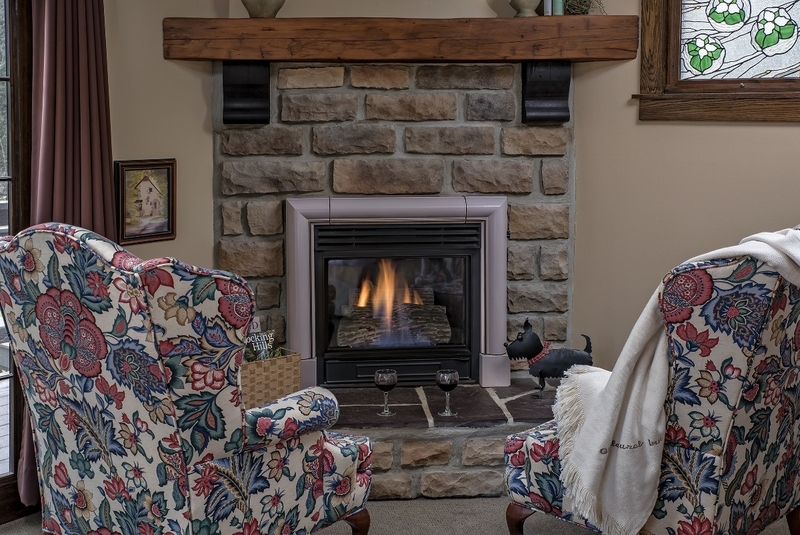 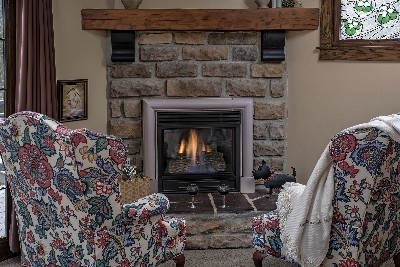 The fireside loveseat leaves ample room to prop your feet, wine glass, or appetizers on the raised hearth. 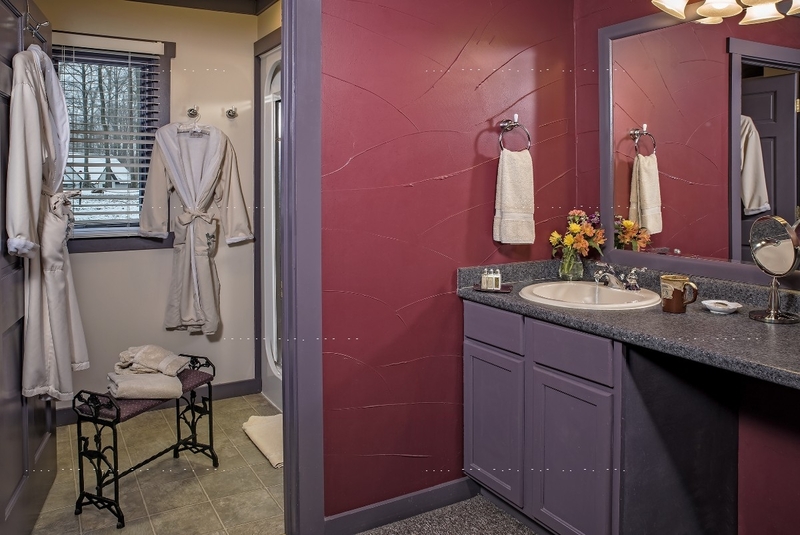 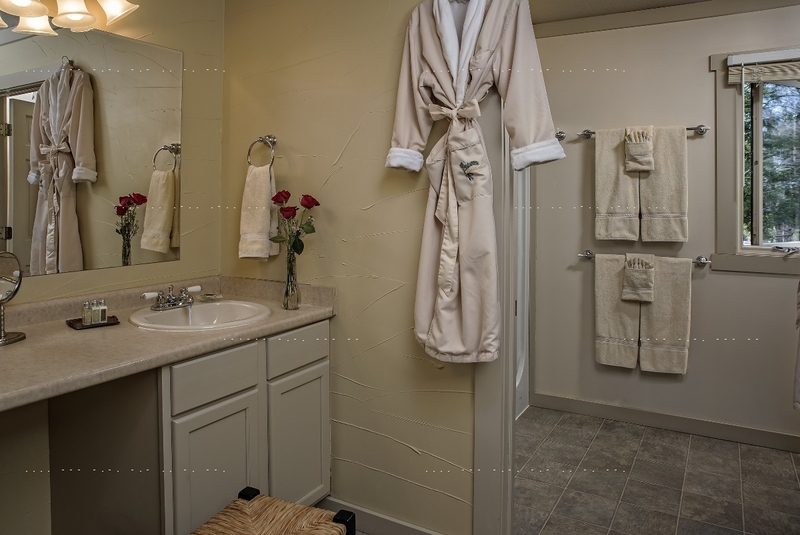 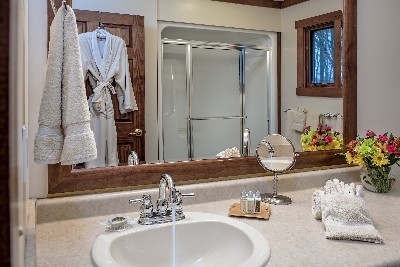 King bed and hot tub on a private deck and two-person shower stall in the bath complete the ensemble. Decorated in royal blue, gray, and cream, the Drummond Croft has a kitchenette, living room, and bedroom with a see-through gas log fireplace that can be seen from the bedroom and living room. 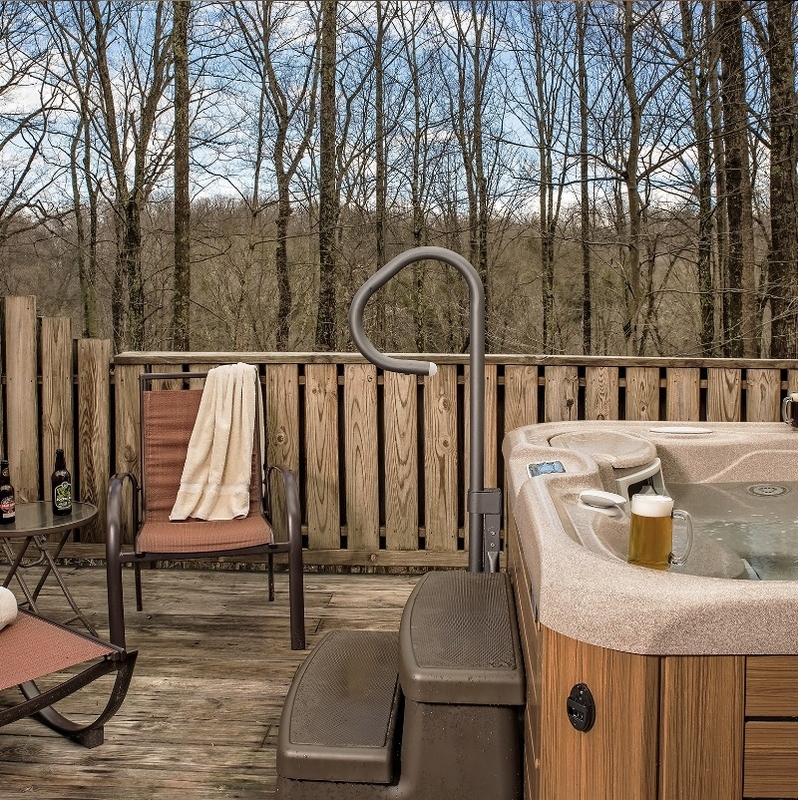 A sparkling clean hot tub awaits on your private deck. 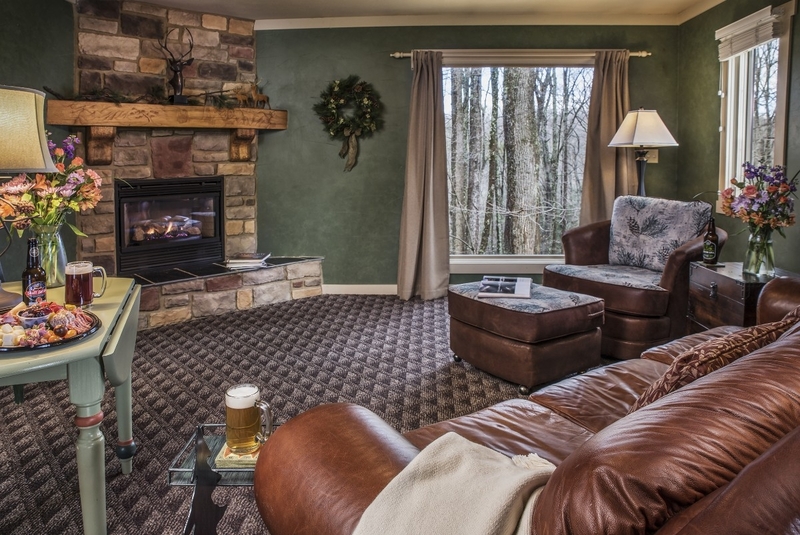 The shades of soft gray, tan, and cream create a relaxing get-away perfectly framed by the see-through gas log fireplace. 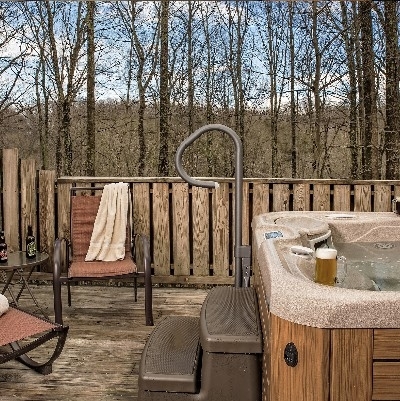 The hot tub looks directly into the tree tops, and the screened-in porch is like your own luxurious treehouse. 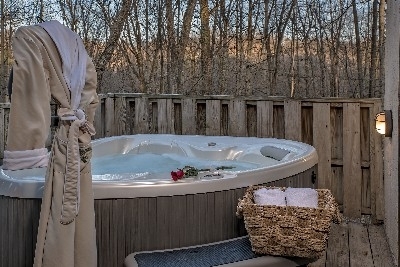 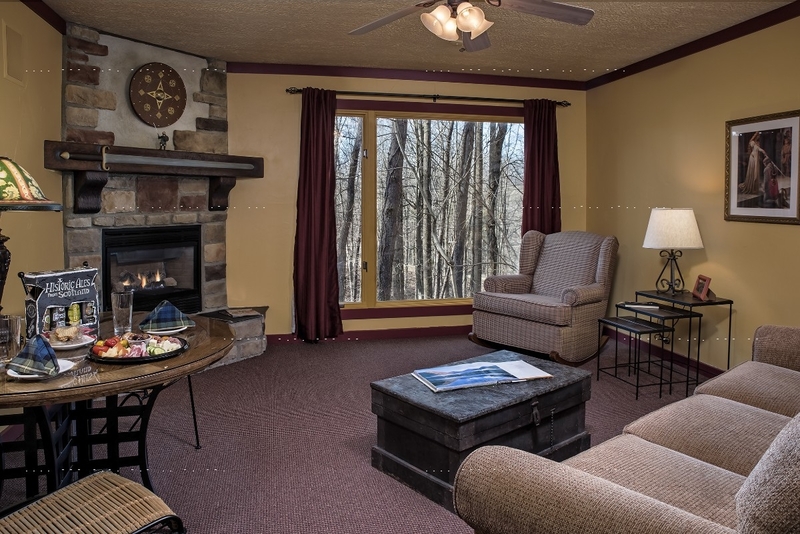 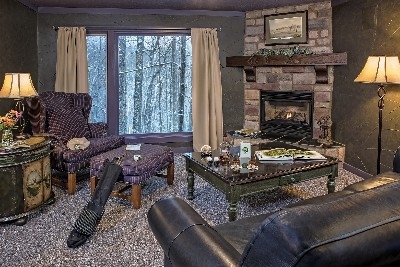 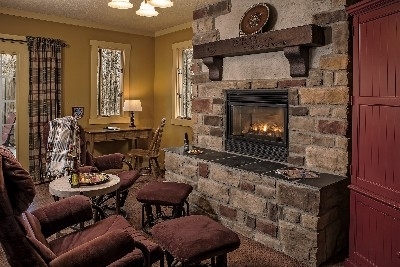 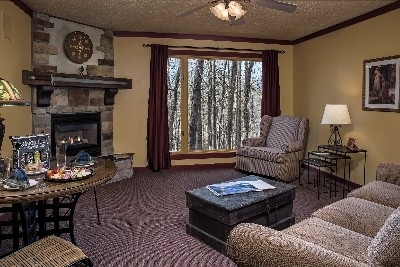 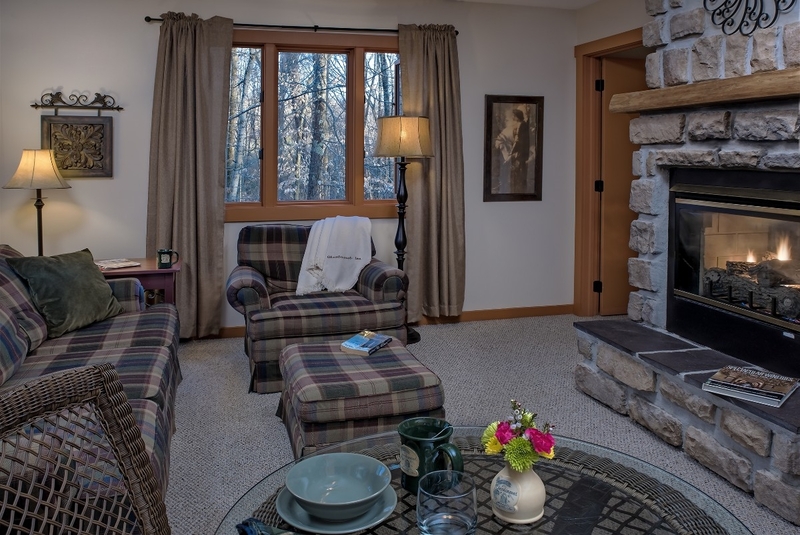 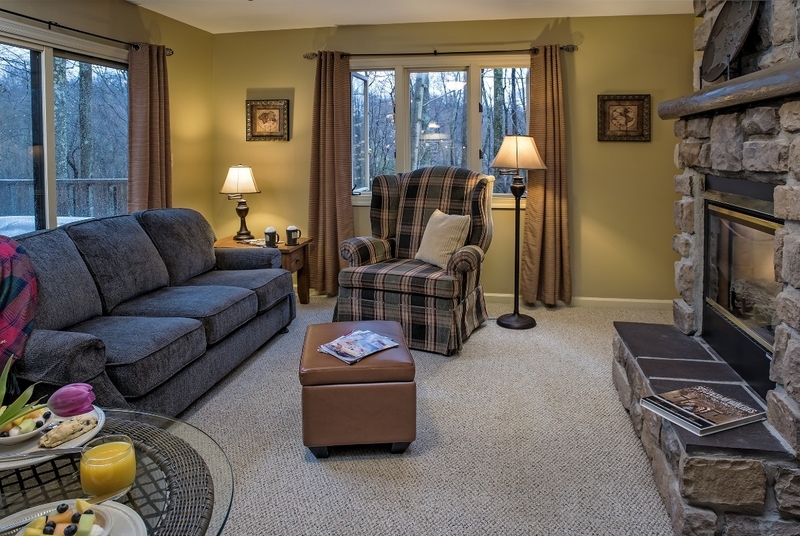 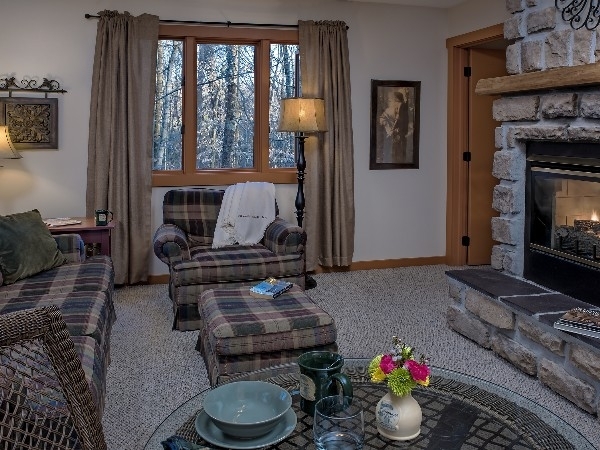 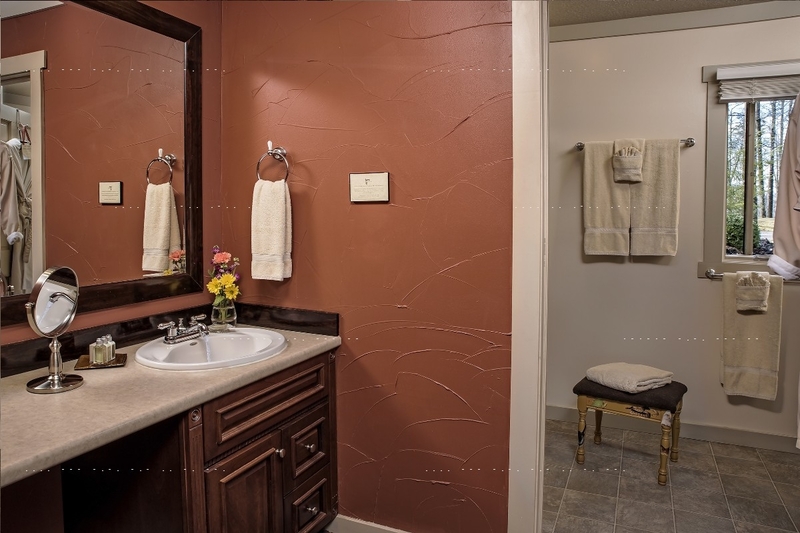 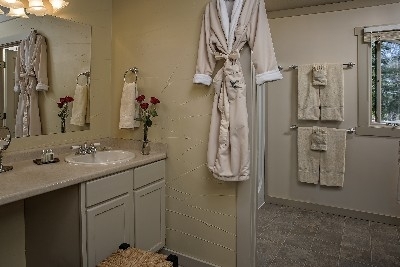 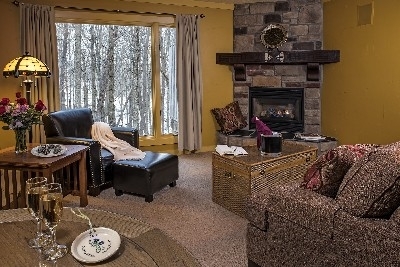 Totally wheel chair accessible, the MacDougal Croft has kitchenette, living room, bedroom, see-through gas log fireplace and a two-person hot tub on a private deck overlooking Camusfearna Gorge. 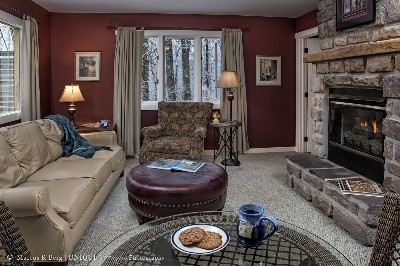 Done in shades of beige and cream, the Sinclair Croft has the sofa named ''Mother'' by virtue of it''s nurturing nature. 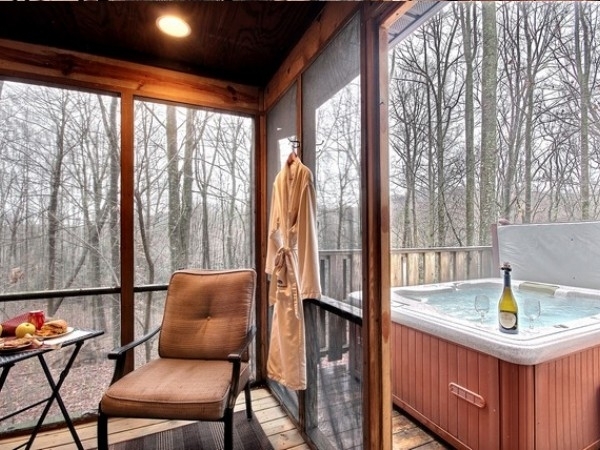 The screen porch by the hot tub is a tree house awaiting love birds looking for relaxation. 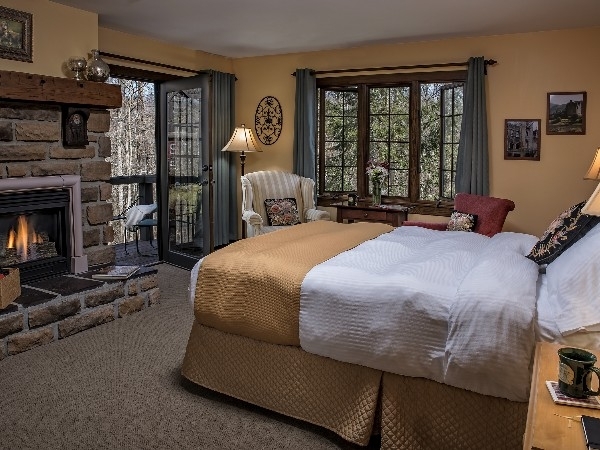 This room has a private bath, queen bed, ember glow electric fireplace, and easy chair for reading. 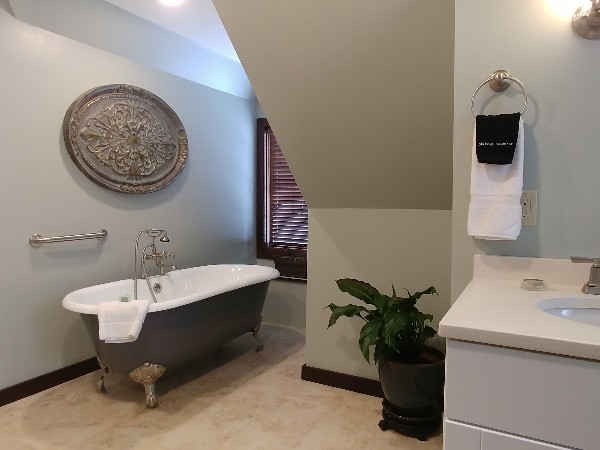 The bath has a tub/shower. 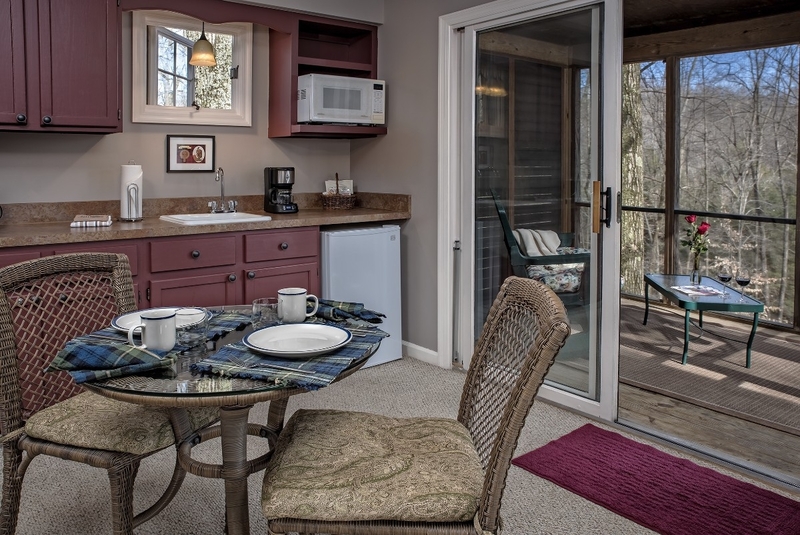 There is access to a shared sitting area with the Mar, which includes a kitchenette. 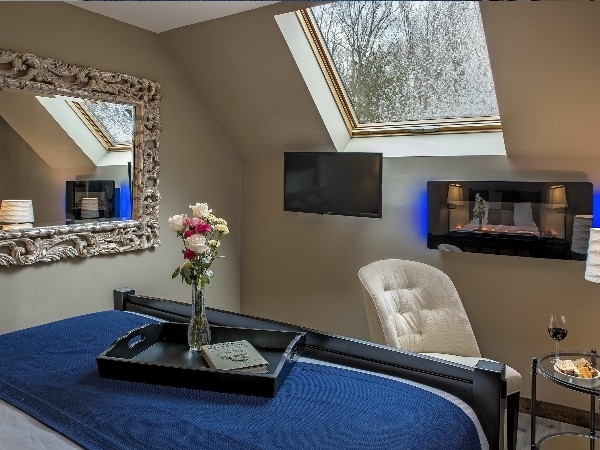 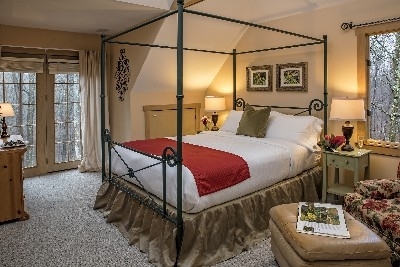 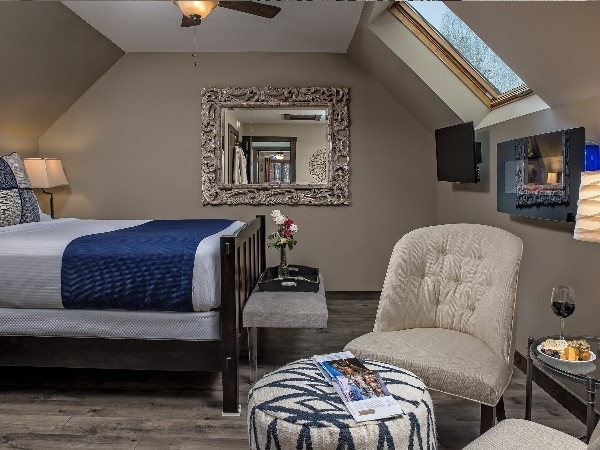 Located on the first floor of the Carriage House, this airy suite has windows to the woods on three sides. A two person whirlpool tub sits in the corner of this spacious bed room/sitting area. A large deck overlooks the woods. 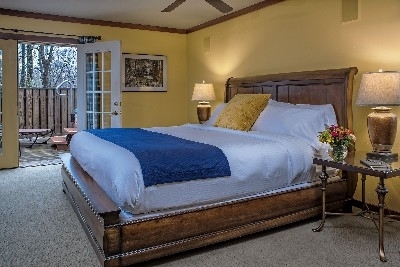 Located on the second floor of the Manor House, this two-room suite has a commanding southerly view of the Grand Deck and gardens. 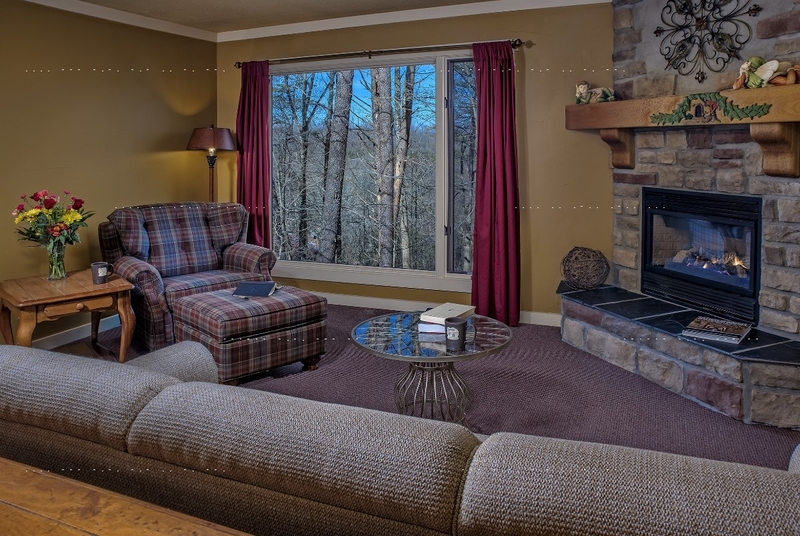 Its spacious interior is the ultimate in relaxation. 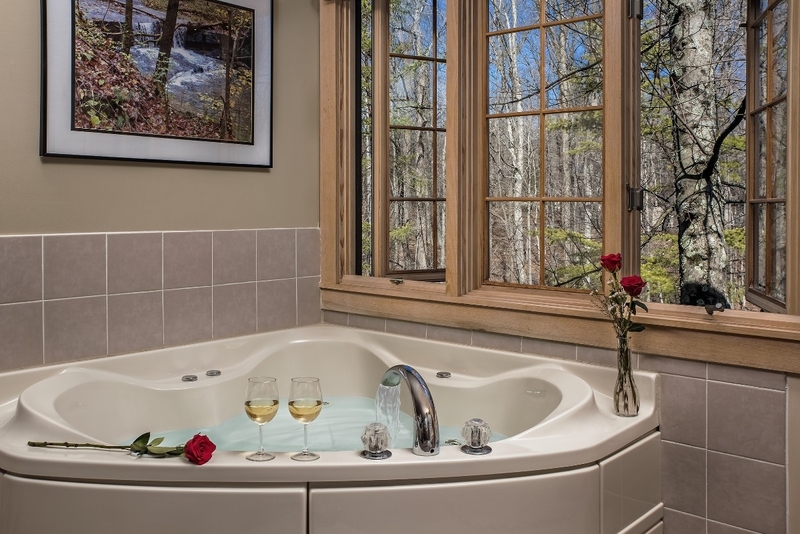 The two person whirlpool tub is sure to delight. 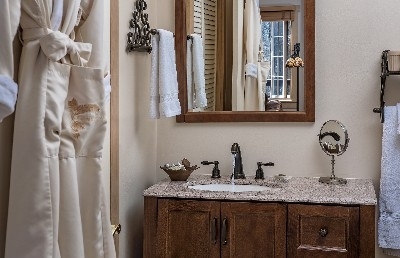 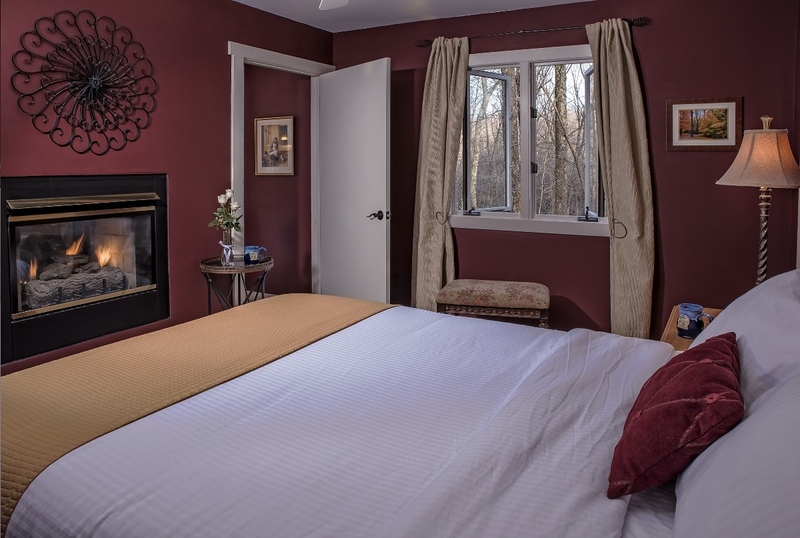 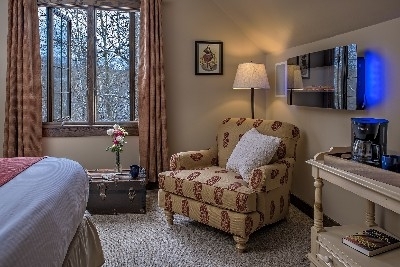 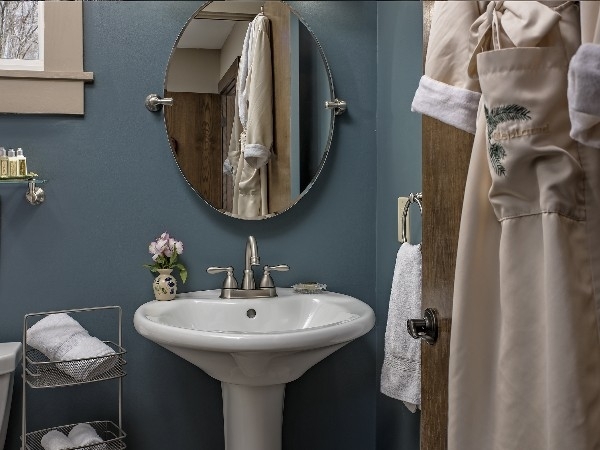 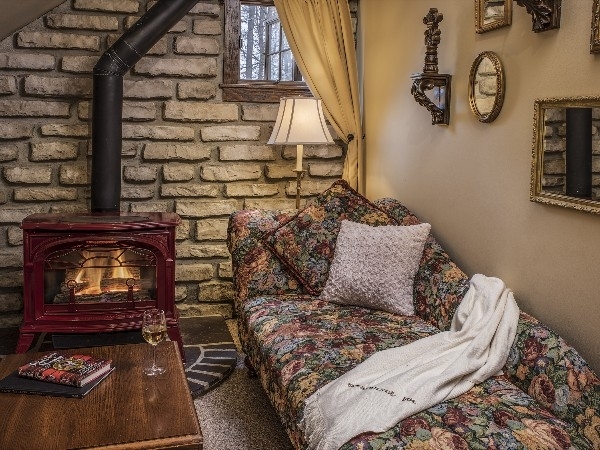 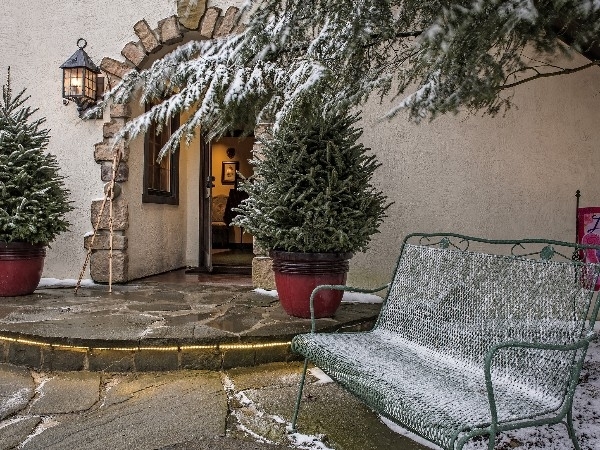 Located on the second floor of the Manor House, these handsome quarters offer a two-person whirlpool tub and bidet in the private bath, plus a seating area beside the gas log fireplace as well as a cozy reading nook. 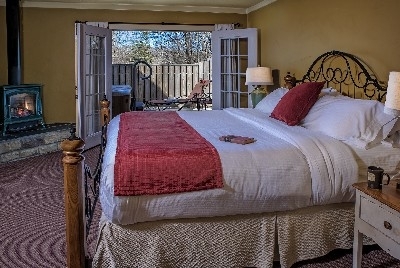 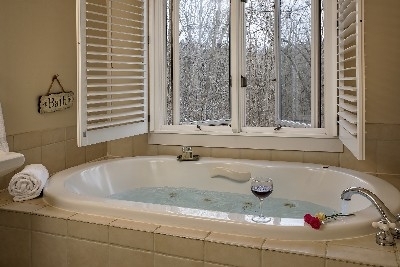 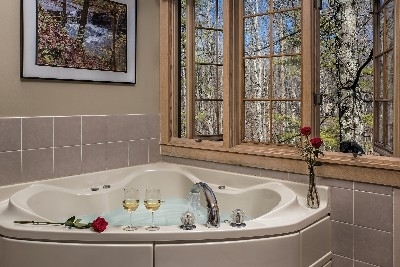 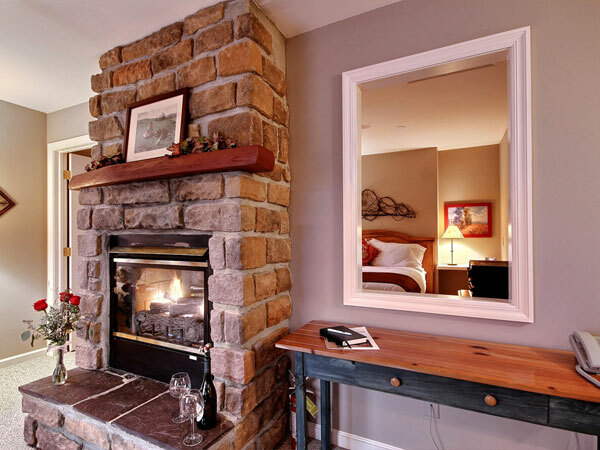 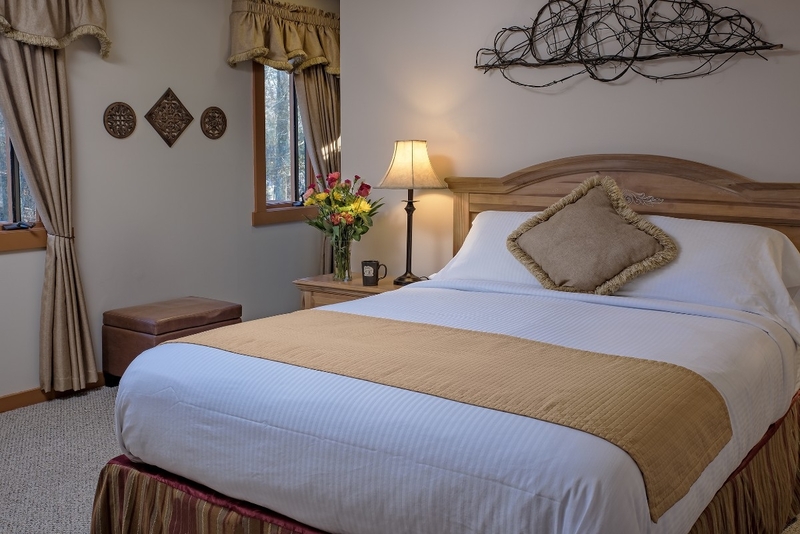 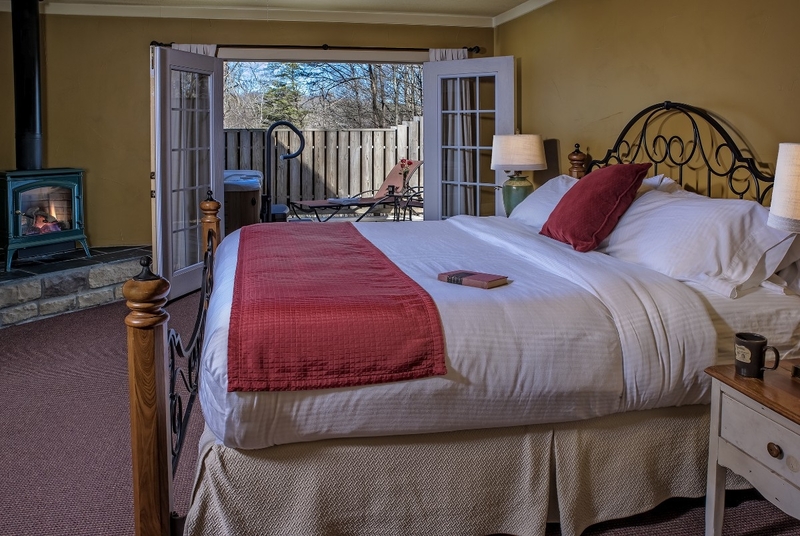 Situated on the first floor of the Manor House, this lovely room has a two-person whirlpool tub in the bathroom, a gas log fireplace and cozy deck facing south with a view of the grand deck and flower garden. 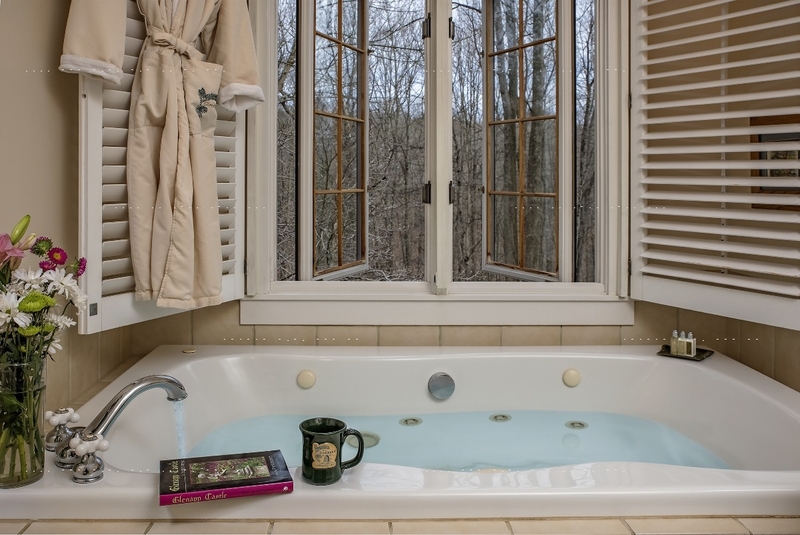 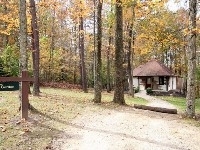 As the room nearest the woods, the MacGregor has a two-person whirlpool tub in the ceramic tile bath under large windows facing east along with a cozy fireplace and two easy chairs. 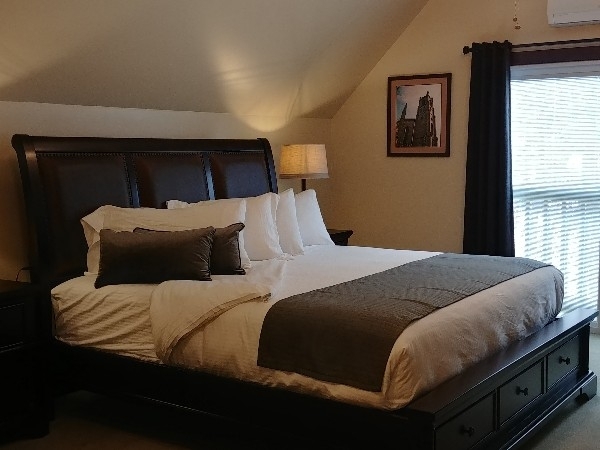 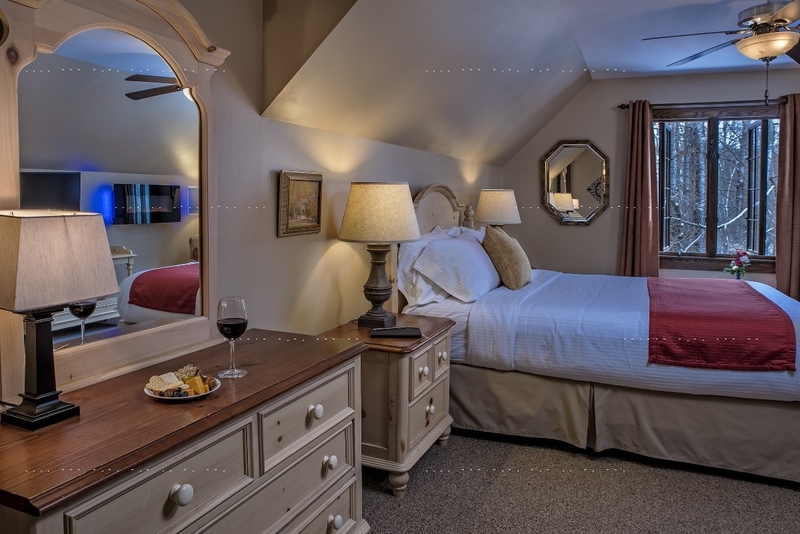 The Mar is located on the second floor of the Carriage House and has a romantic ember glow electric fireplace, a private bath with a tub/shower combo, a deluxe queen bed, a large sky light window, and a shared kitchenette with the Robertson.